Hello, it is my new worksheet to practice causative have/get. 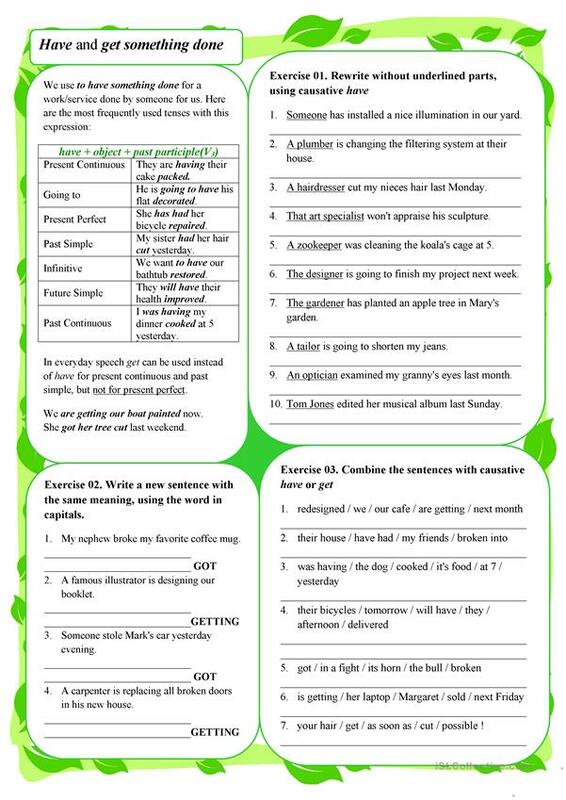 Usually lots of students have problems to use it, to say nothing about using it in different tenses. The grammar guide will help you to get some understanding, the three exercises - to practise the knowledge. The KEYS are attached. Your comments and likes are always warmly welcome. P.S. If you've found any missprints or you can suggest improvements, feel free to write about it in comments or in private messages. The present printable, downloadable handout was created for high school students and adults at Upper-intermediate (B2), Advanced (C1) and Proficient (C2) level. 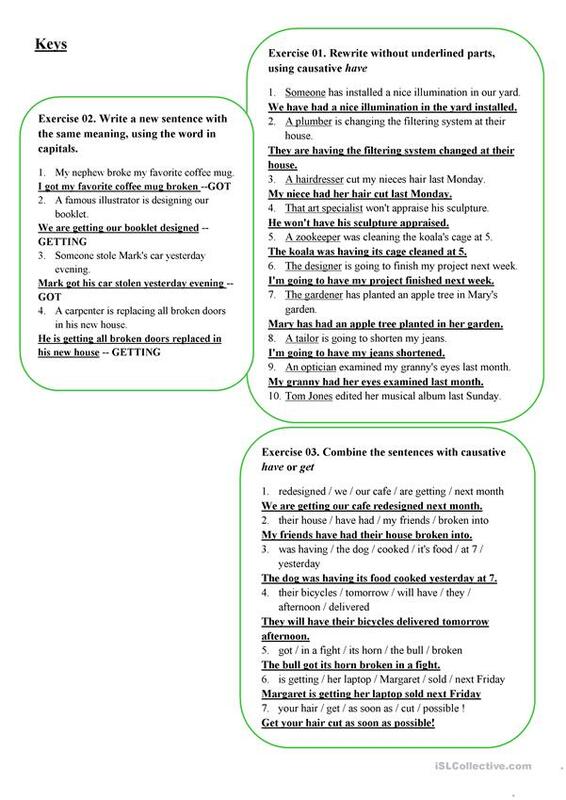 It is valuable for practising Causative in English, and is a valuable material for working on your class' Listening, Speaking, Reading and Writing skills.